The UCLA Department of mathematics Undergraduate Merit Scholarship is awarded to an incoming freshman who has an exceptional background and promise in mathematics. The scholarship covers tuition, fees as well as room and board. It is anticipated that one new scholarship be awarded every year, starting in Fall 2010. Scholarship recipients follow a specialized advanced program of studies, including individual study with UCLA Mathematics professors. Eligibility Requirements and application process. 12th grader (or equivalent) applying to UCLA for admission for the Fall quarter. Evidence of exceptional background and promise in mathematics. Such evidence includes placing in the top 25% in the U.S.A. Mathematics Olympiad (USAMO) or comparable (International Mathematics Olympiad level) performance on a similar national competition. 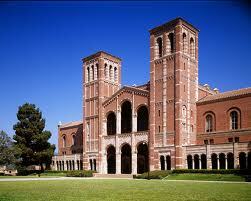 Applicant must also submit the official UCLA admissions application by its deadline (this year, November 30th). Demikian kami sampaikan tentang UCLA Math Undergraduate Merit Scholarship, USA semoga informasi tentang UCLA Math Undergraduate Merit Scholarship, USA ini bermanfaat.